Today on the show we are joined by Gopika Prabhu, the founder of San Francisco-based design studio, Elefint. Elefint’s mission is to help good causes, which includes nonprofits, B Corps and other changemakers. Gopika created Elefint as a way to bring informed and beautiful design to the social impact space. A hands-on creative, Gopika collaborates with writers, strategists, engineers, and product managers to bring her concepts to life. As head of design at Elefint, she builds and leads a cross-disciplinary creative team while also shaping the visual voice of the studio. Inside this episode, Gopika shares her story of working in an educational nonprofit where she experienced how powerful, articulating clear design is for these organizations and how difficult it can be for them to harness that type of expertise. She then describes how that experience has grown into what Elefint is today. There is so much of value in this conversation. Amongst many other things we touched on Elefint’s design process, thought leadership and events. Gopika founded Elefint, a women-owned studio, as a way to create a more kind and connected world through thoughtful and exceptional design. Having worked in partnership with social enterprises and foundations on challenges related to education, energy, civic engagement, health, financial opportunity and women's equity, Gopika has helped leading brands including the ACLU, Black Girls Code, Ocean Conservancy and Clinton Global Initiative achieve their growth and communications goals. She also started and runs Desgnit, an event series benefitting designers and nonprofits. 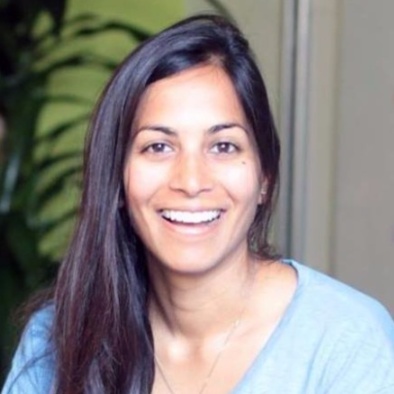 In addition to teaching design at University of San Francisco, Gopika is an active member of the design community and has given talks at Facebook’s Women in Design, SXSWi, SOCAP, Net Impact, and Summit at Sea. Gopika's work has been featured in TechCrunch, Fast Company, GOOD Magazine, Wired Italy, and Design Like You Give a Damn.